IZettle is a Swedish-based card processing company, offering a range of small-business solutions including merchant accounts, point of sale terminals, and card readers. As the first company to develop a chip-card reader and app for smartphone card processing, iZettle stands out as one of the oldest and best providers of small-business mobile payment solutions. The company launched in 2010 and now offers solutions to thousands of small businesses around the UK. However, with numerous competitors including big names like PayPal, Stripe, and Worldpay, iZettle is far from your only option for a mobile card reader for small business. What Do Users Think of iZettle Card Readers? IZettle is a small-business specific service with one card machine terminal, tablet-based point of sale, and a merchant service solution. While not as large as competitors like Worldpay and First Data, this may be an advantage for small businesses who need more personal service and more individual attention. And, with a mobile card reader and app that literally created the chip-card-reader industry, it’s definitely a solution to consider if you need a low-cost card reader or point of sale system. IZettle manufactures and sells its own card readers, which include pin-pad and mobile point of sale solutions, which you can pair with an iPad. The company also produces an app, allowing you to plug the reader and the Card Reader Lite directly into your phone to begin accepting payments. Options start at just £39 for a one-time purchase, making the reader one of the most cost-effective solutions on the market. The iZettle Reader costs £59 upfront with a contract and connects to devices via Bluetooth. The card reader accepts chip, magstripe, and contactless payments including Apple and Samsung Pay, supporting both signature and PIN transactions. The model is designed to last over 8 hours, or approximately 100 transactions, and recharges in 1-2 hours via a USB cable or a charging dock. The iZettle Dock is available for an additional £39. The iZettle Card Reader Lite is a pin pad that connects to a phone via the audio jack, and supports card transactions over 3G. This card reader is mostly no longer sold in the iZettle store, as the classic reader now connects to your phone via Bluetooth. However, you may still be offered the Lite with some contracts. The iZettle Pro and Pro Contactless are mobile card terminals offerings 2 hours of battery life, 10-meter Bluetooth connection, and support for Chip and Pin and Magstripe Payments. Like the Card Reader Lite the iZettle Pro and Pro Contactless are mostly being phased out in favour of the new iZettle reader which is mobile or stationary with the dock and supports a longer battery life. While you may still be offered the Pro, the Reader is likely a much better choice. The iZettle Store Kit is a full-service iPad-based point of sale system with a till, barcode scanner, and receipt printer. The POS terminal features everything you need to get started and is available from either £39 per month or £259+ for a base model. IZettle also offers a full range of accessories including tills, printers, stands, cash drawers, and barcode scanners. Receipt paper rolls cost £35 for 25 rolls. This system is offered with the iZettle Card Reader, but you can customise other offerings and choose to use your own tablet, or one provided by iZettle. The £39 per month rental fee offered by iZettle includes one tablet. IZettles new card reader line up means that you will likely only be offered the iZettle reader or the iZettle store kit. At £59 upfront, it’s hard to beat as a mobile card reader. With an additional £39 dock available to turn it into a countertop model, it’s also difficult to beat in terms of cost, considering that most comparable models start from at least £250. The new iZettle Store Kit features the same reader with the dock, till, and other accessories. While buying everything together, such as a full store kit can cost upwards of £800, iZettle also offers affordable rental options from £39 per month for an iPad-based system with till, scanner, receipt printer, and card machine. IZettle’s new card reader solution means that you only have one real option when you set up an iZettle contract. However, the card reader functions as a mobile, portable, and countertop card reader, and supports a variety of accessories, allowing you to fully customise your point of sale. IZettle Go is a point of sale app enabling you to accept transactions from any mobile device including a phone or tablet. The system incorporates inventory tracking, product management, and data analytics to help track sales and products, making it easy for small businesses to set up and get started. The app is available for free on the app store and you can download it to use with any iZettle reader. IZettle offers a merchant account service alongside their card reader, which you will likely have to use if you choose either the iZettle Reader or Point of Sale (although you can reprogram the iZettle, this will generally cost more than the reader itself). IZettle only enables face-to-face sales, but will process the transaction at every step. IZettle does not offer a virtual terminal or online payment gateway, so if you need either service, you will have to either choose a secondary merchant account subscription like Stripe, or choose another merchant account provider. 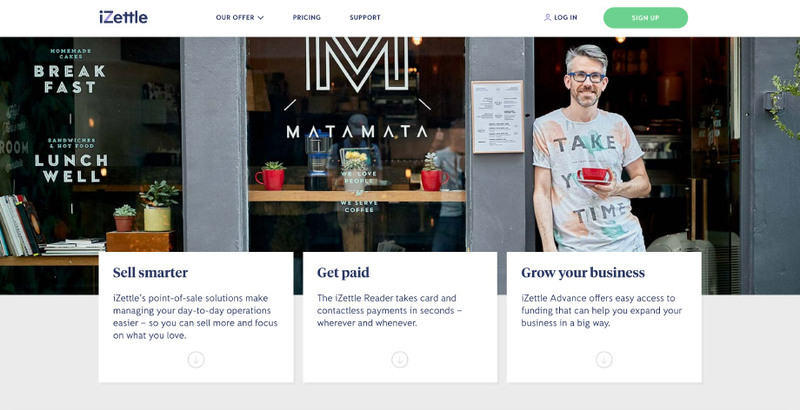 IZettle charges a flat-rate fee for card processing, with a single 1.75% fee. You can also send invoices online for 2.75%. This flat-rate pricing structure can mean that you pay the same rate no matter what card your customers are using, but also that you pay a single fee for debit cards. Many larger merchant account services offer split rates such as 2.75% for credit and 0.75% for debit cards, which may make more sense if you primarily process debit cards. IZettle also stands out with no fees other than the invoicing cost and the cost of the card reader or store kit terminal. However, competitors like Stripe offer the same service, but for online sales. IZettle offers a monthly contract, so there are no setup fees or early termination costs to consider. This is rare in the merchant account industry, where terminal rental is typically for a minimum of 18 months. While you will have to buy the card reader outright, it’s lower than some monthly rental costs. 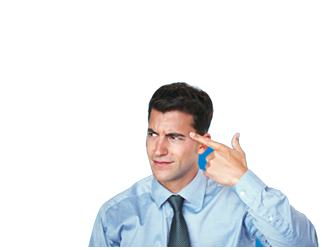 However, with no rental lease, you also won’t get the technical support and assistance included with a lease fee. IZettle does offer technical support, but if something goes wrong, it’s your responsibility to repair or fix your machine. IZettle also does not have a replacement program in case something goes wrong, so once the warranty is out, your machine is no longer covered in any way. IZettle is primarily very well reviewed in the UK, with only some negative reviews surrounding technical problems rather than customer support or sales. For example, some users have technical issues with the card reader itself. iZettle does not offer free replacements in case a machine fails, and some readers have difficulty connecting to printers. These issues are all worth considering, simply because they can interrupt your ability to accept payments. In some cases, iZettle will also freeze funds or your account for a security check, and may close your account if they determine that you are not following their Terms of Service or are engaging in high-risk sales. Unfortunately, this type of operating policy is difficult to avoid, even among large-scale merchant account banks. IZettle was the first brand to offer a mobile card terminal, but today, you have plenty of options. It’s always a good idea to review and compare competitors, especially businesses like Square which offer virtually the same service and products at similar rates. If you need online payments, iZettle is unable to compete, simply because the service does not include an online payment gateway or virtual terminal. You will have to choose another solution like PayPal or Global Payments if you want to process payments online. iZettle is one of the oldest merchant account providers catering specifically to small business, and today, offer a strong solution including card reader and Point of Sale terminals to UK businesses. iZettle also combines a range of hardware including cash drawers, barcode scanners, and Bluetooth receipt printers to create an easy and affordable solution for small business. The iZettle Go allows you to set up a Point of Sale on any tablet or device when combined with a card reader. At £59 upfront, the iZettle card reader is one of the cheapest small-business solutions on the market. It’s also easy to upgrade, and works as both a mobile solution and a countertop card reader, simplifying your purchase options and decision making. However, with some technical issues, it’s not perfect and you should ensure that you don’t use technology that may interfere with Bluetooth. With no monthly, startup, or other fees, iZettle also makes a good solution if you’re on a tight budget, want to control costs, and cannot afford large fees that you sometimes see with bigger merchant accounts. Overall, iZettle is a very good solution for small and micro businesses in need of easy and fast solutions. With one-time purchase fees, some of the lowest transaction rates offered to small business (1.7% for local cards), and affordable point of sale options, it’s one of the best solutions for startups who just need to get equipment without investing a great deal.